We go beyond delivering “service with a smile”. Our Express Service is designed to help you leave with a smile as you drive your Kia down the road. If you’re looking for quality, competitively priced maintenance that fits your schedule, you’ve come to the right place. As your one-stop source for routine vehicle maintenance and repairs, we don’t take our responsibility lightly. 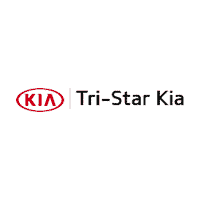 That’s why Kia Express Service™ is more than just fast — it’s your complete service experience. Engine oil is the single most vital fluid for your Kia’s well-being because it reduces friction between moving parts and helps remove heat from the engine. The correct oil for your vehicle is marked on your vehicle’s oil cap or noted in your Owner’s Manual. If your vehicle requires an oil change, it will be drained and refilled, and your oil filter will be replaced with a Genuine Kia oil filter. Your maintenance indicator light will also be reset at this time. Your maintenance schedule includes the proper engine oil and recommended replacement intervals. Tires play an important role in your vehicle’s handling, performing and driving comfort, and can also have an impact on your Kia’s fuel efficiency. So make sure to keep your tires properly inflated and use tires that match your Kia vehicle’s specification. Tire manufacturers recommend that tires be rotated every 5,000 miles. Tire rotation is important for even tread wear and long life. When performed at the recommended times, it helps ensure that the tires wear evenly and prolongs the useful life of the tires. If you’ve ever gone to start your car and it just clicks, you may have experienced what it’s like to have a dead battery. During our Kia Express Service, our factory trained technicians will test your vehicle’s battery to ensure that it is not showing signs of weakness. If your battery is not maintaining the proper voltage, we will let you know and recommend a replacement.